That was one amazing day. While we had a few challenges, a couple self inflicted, some beyond our control, it was an amazing day of BMX! First, hope Emily Petrehn is going to be ok. Latest word was broken collarbone and hip injury. Our volunteers were simply awesome all day. So many that stepped up to make the day happen, on Sunday and the COUNTLESS COUNTLESS hours we have put into the rebuild over the past 5 weeks. Even with totally crazy wet weather the second half of February we managed to install 60,000 pounds of pavers on the new starting hill, shaped the track, laid down 300 tons of stone dust all in the effort to have the track ready for the opener. While we didn't have the perfect conditions we normally expect, the surface will stabilize and turn into that super fast, weather durable, surface that we all love! Hotbox RVA really amazed us all with their generosity in donating all proceeds from their super dope t-shirt sales to the track. 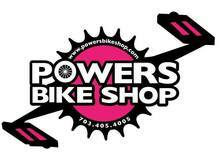 Powers Bike Shop and Rocket Racing had great vendor setups helping everyone get the gear they needed to start the season right. We even had friends from Monster Energy come and be a part of the BMX Experience. Thank you to everyone that came. We are amazed a the massive support for Richmond BMX. While the total moto count was off by 2 from our record 58 motos last year the total number of class and cruiser entries was 10 more than last year (we ran opens last year). Hope to see everyone again soon and for sure May 4th-5th for the State Qualifier and Gold Cup Weekend and then again July 28th for the second annual Flat Pedal Pro-Am!